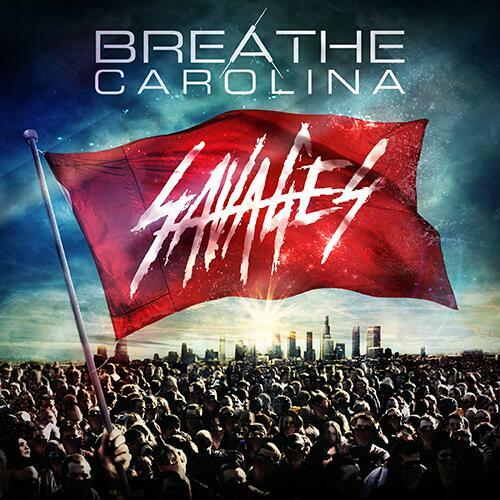 To the excitement of fans everywhere, Breathe Carolina launched pre-order bundles for their upcoming album, Savages. When you pre-order the album on iTunes, you will get an instant download of “Sellouts,” which features guest vocals by Danny Worsnop of Asking Alexandria. If you were worried that there wasn’t going to be any unclean vocals on this album, then this song should definitely ease your mind. Physical pre-order bundles are available via MerchNow. There, you can also watch the newly revealed music video for “Sellouts.” You can also check it out below the break.